Though the Chinese saying goes 福无双至, 祸不单行, I don’t totally subscribe to that belief. 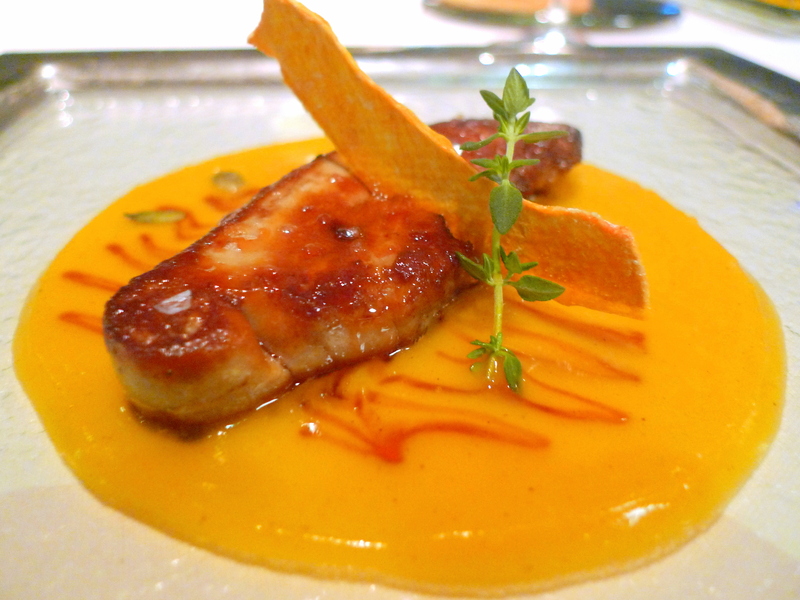 After all, good things do come in pairs occasionally and one classic example would be Forlino’s 1-for-1 DBS/POSB Promotion for their Gourmet($98++) and Degustation($148++) Set Menus. I feel so spoilt. Dining at One Fullerton without any special occasion on a school night with next week’s mid term tests looming ever so closer is definitely the life! 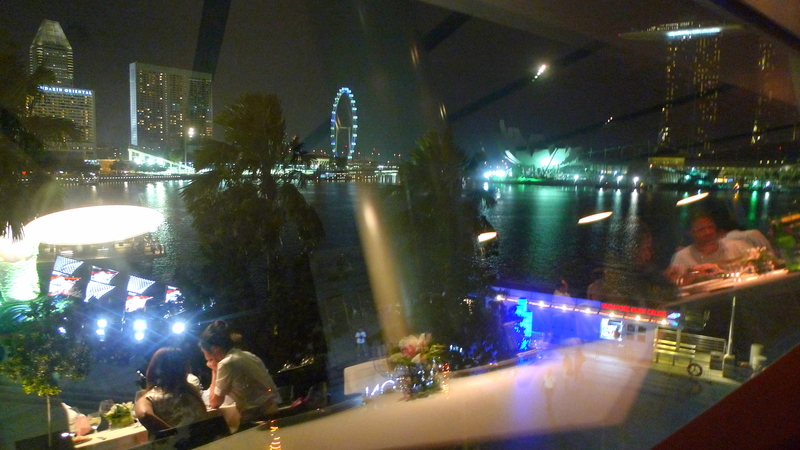 Just idly gazing at the Marina Bay skyline, Singapore Flyer and Singapore F1 Circuit, a 2.5 hour dinner whisked by unknowingly. 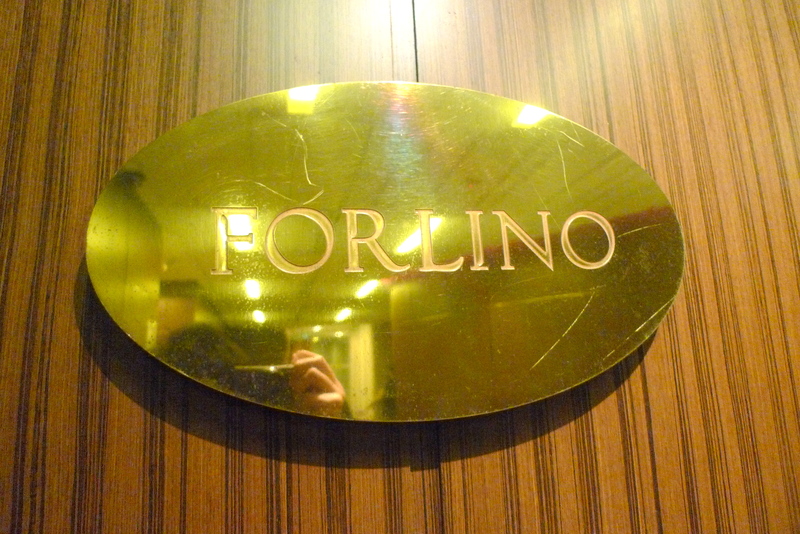 Ever since Chef Osvaldo Forlino left Forlino last year, inevitably there has been some speculation about declining standards at Forlino. 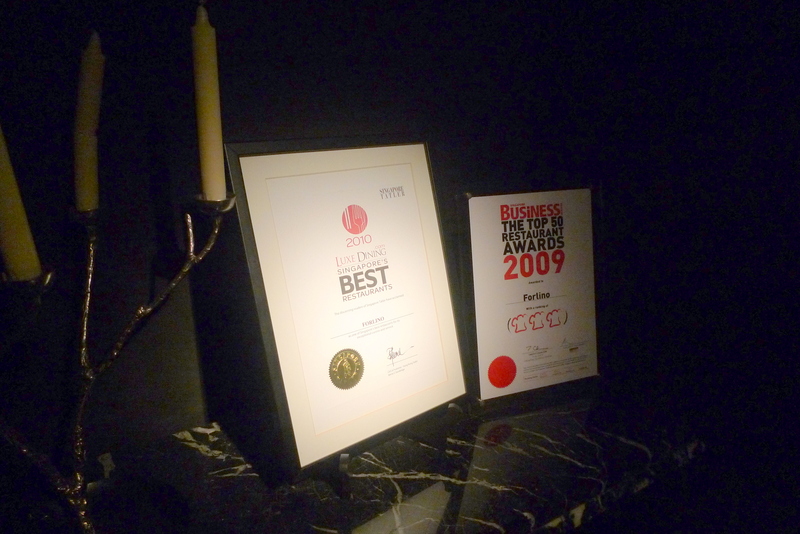 However, based on it’s recent list of dining awards, it seems that Forlino’s pace and contributions to the local dining scene hasn’t slowed down one bit. 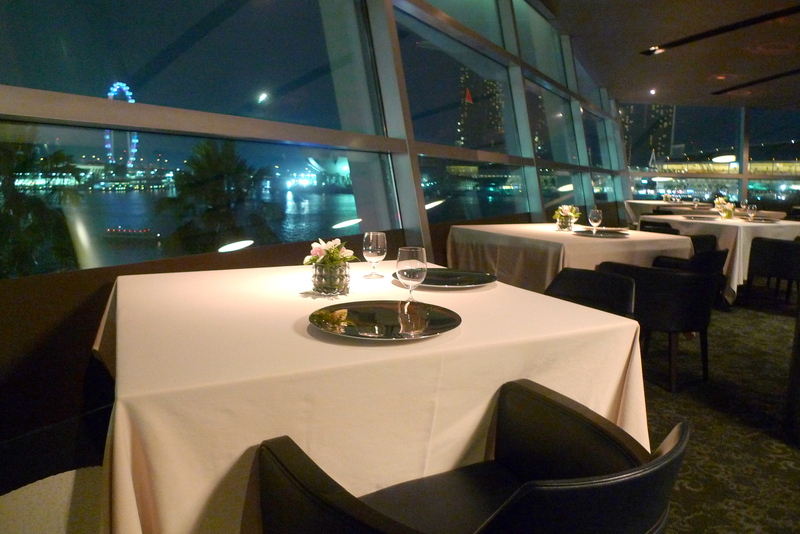 For a fine dining restaurant, I found Forlino’s service to be less intrusive (and correspondingly less attentive) to the other fine dining restaurants I have been to recently, which suits me just fine since the ambience of such restaurants often tends to be too eerily silent and stifling. 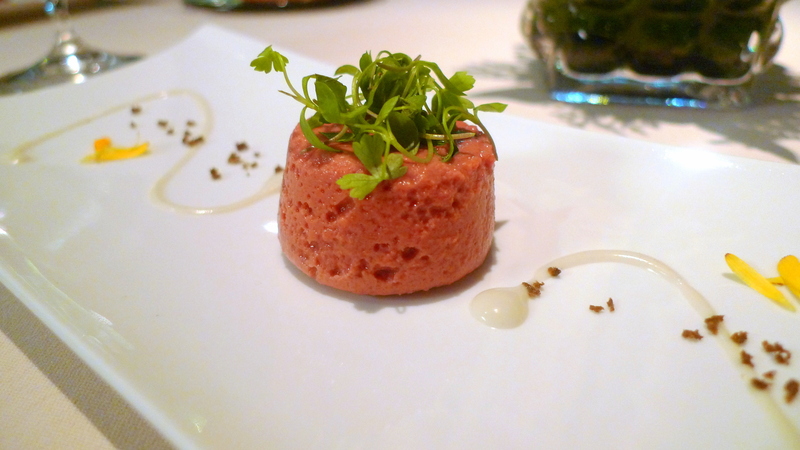 Amuse Bouche for today was the Beetroot Flan with some cheese I can’t recall. This eggy and slightly cheesy beetroot custard wasn’t something I particularly fancied. 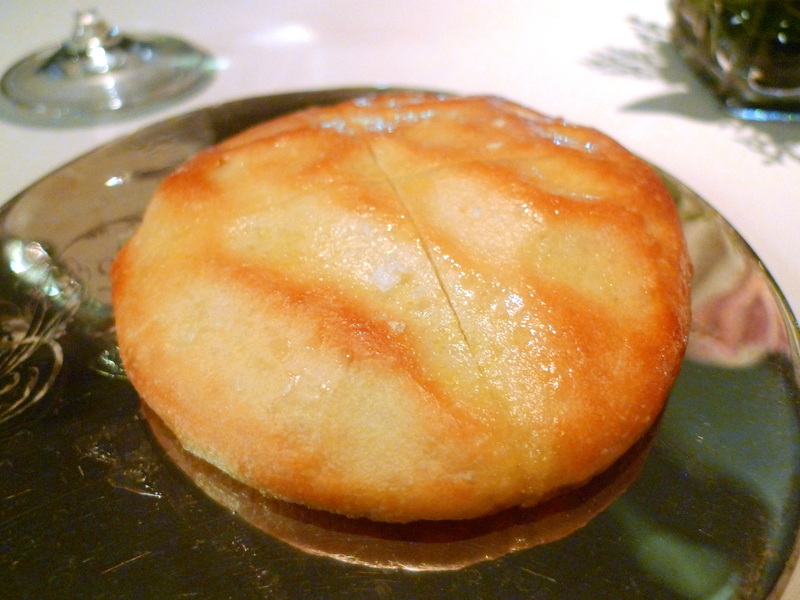 The complimentary warm bread served here was slightly thicker and chewier than the norm, lightly glazed and salted. Not something to waste too much stomach space on with the impending feast. 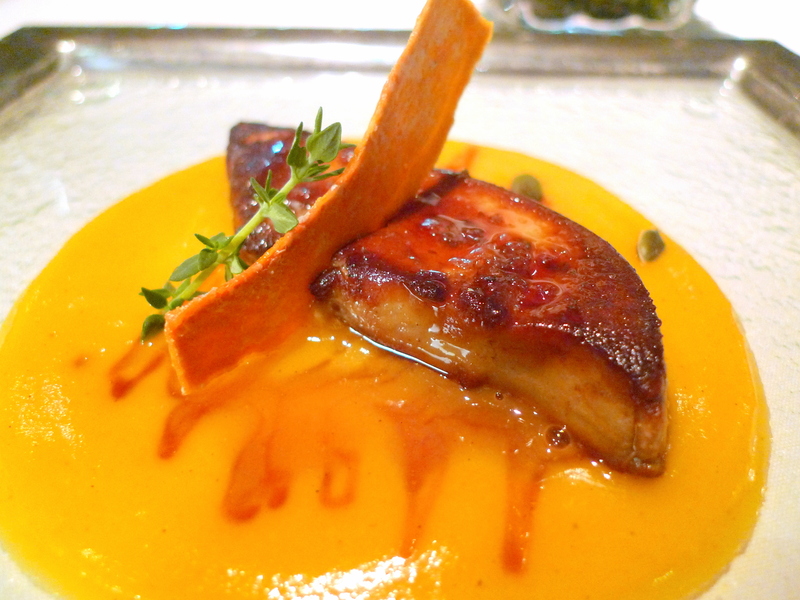 For Starters, the Pan Seared Goose Liver with Amaretto and Pumpkin Cream. Amaretto is an Italian sweet Almond-flavoured Liqueur and is apparently able to bring out the flavour of the fatty Foie Gras but I wasn’t able to detect much of it over the pumpkin cream. 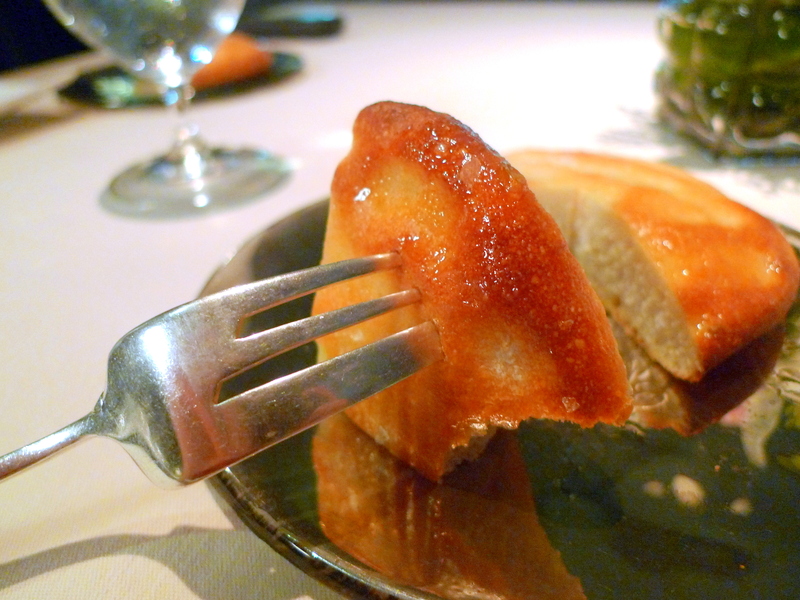 The Foie Gras wasn’t very memorable but generally tasty nonetheless. 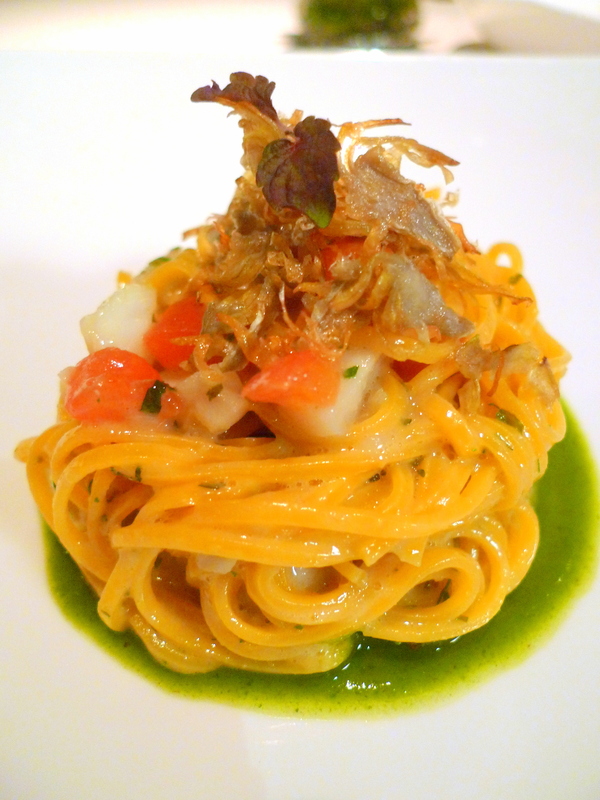 The Pasta Course comprised of the Homemade Spaghetti with Black Cod, Baby Artichokes and Mint. 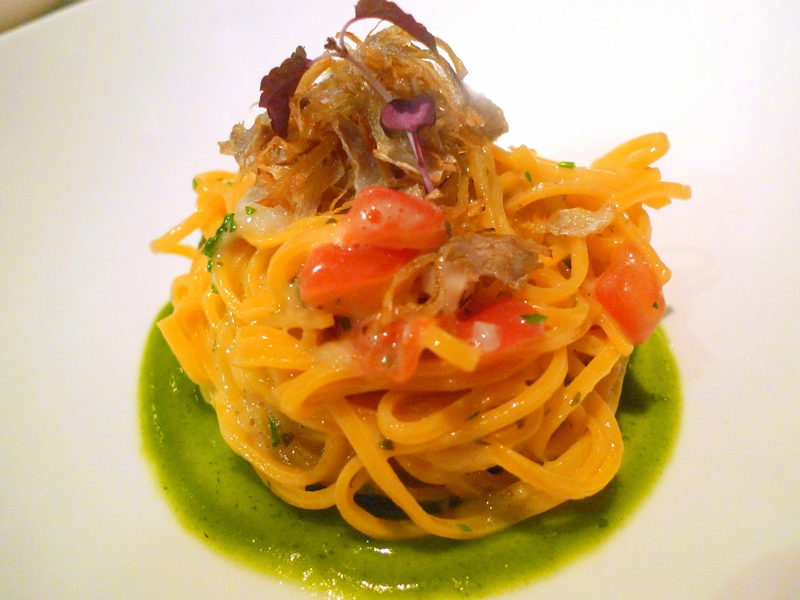 I’m wasn’t really accustomed to Mint based pastas but it grew on me as I was nearing the end of the dish. The homemade spaghetti was somewhat firmer that what I’m used to, whose texture resembled that of the Chinese Ee Mee(Ee Mian). I would have enjoyed it better if they could be a little bit more generous with the cod or maybe changed the cod to scallops instead. 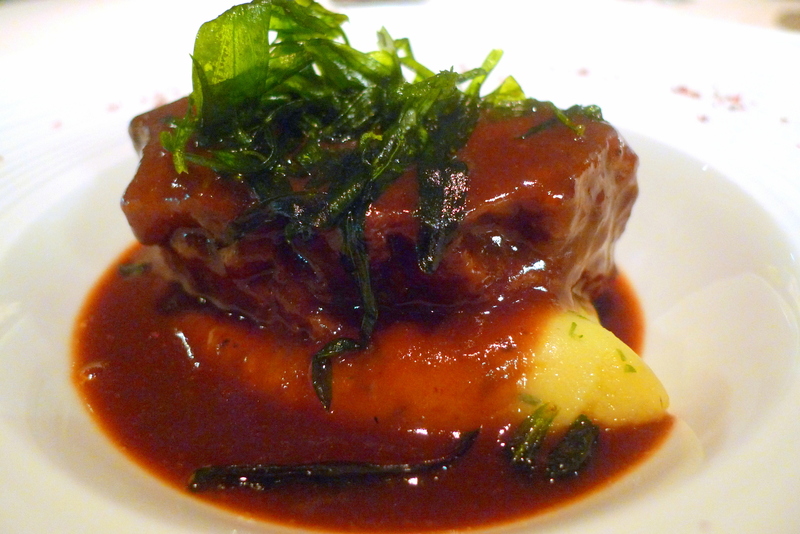 Main was a choice of either Wagyu Beef Cheek Braised with Marsala Wine and Herb Mashed Potatoes or Halibut Fillet with Orange, Green Asparagus & Martini Vermouth Sauce. C and myself both opted for the Wagyu. 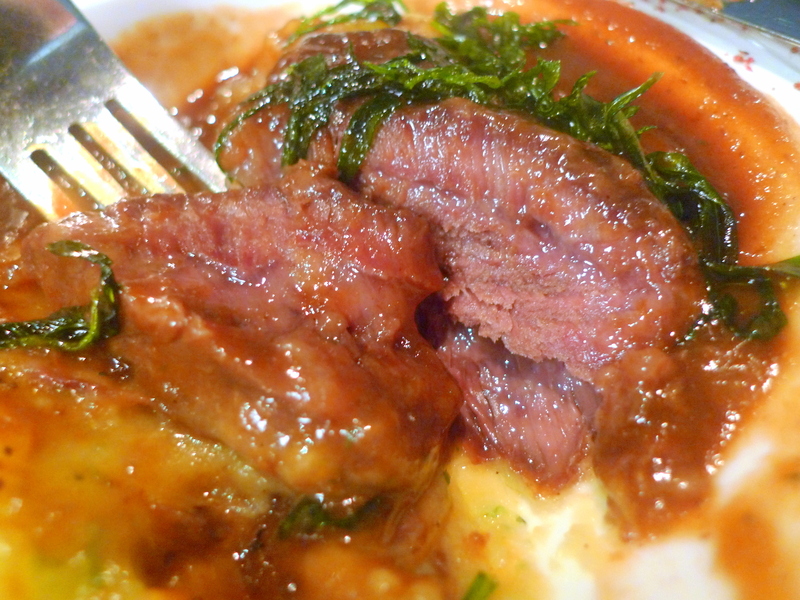 Needless to say, the beef was really tender and marbled, with the mash velvety and flavourful. I did find the gravy slightly on the salty side though. In my previous post on Raw Kitchen Bar, I mentioned that Chocolate Lava cakes are so common nowadays and it’s terribly difficult to pinpoint one that is really outstanding. Well, my prayers have been answered with Forlino’s reply of the Molten Lava Chocolate Cake with Banana Gelato and Rum Sauce. 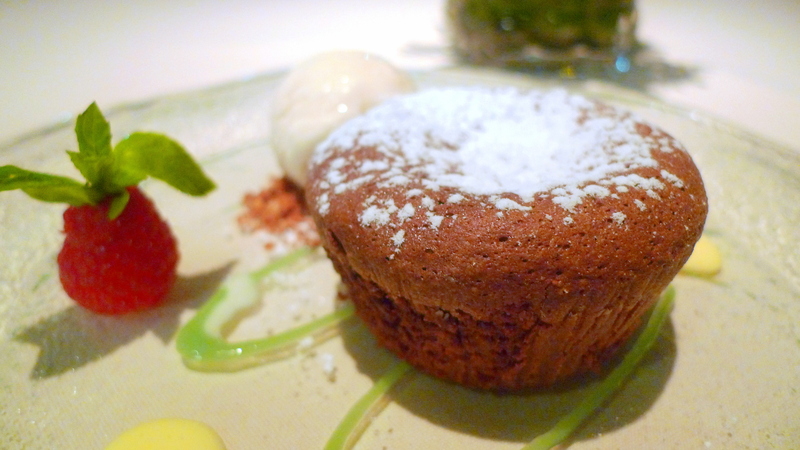 This was the best Chocolate Lava Cake I have ever eaten! What is so appealing is the nice contrast between the crisp outer layer and the moist molten inner one, unlike some lava cakes which are moist throughout. The consistency, richness, volume and denseness of the chocolate lava was perfect, and paired well with Banana Ice Cream and Crumble. 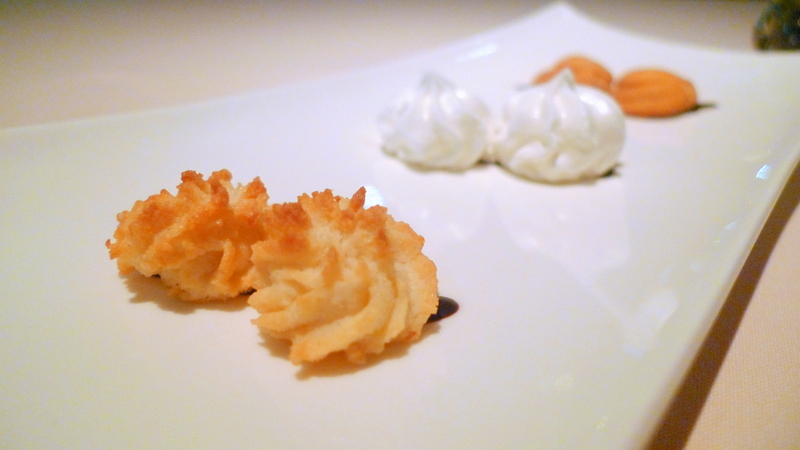 Petit Fours & Coffee to end off what I felt to be an awesome meal. 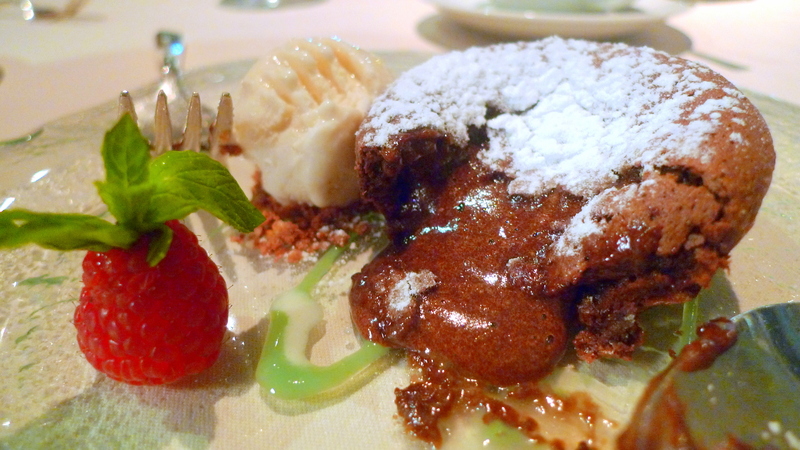 In case you are thinking of popping by, The DBS/POSB 1-for-1 Promo for Forlino’s Gourmet & Degustation Set Menus ends on 31 October 2010.
the chcolate lava cake at il Lido is fantastic, try it if you have the time! wa u damn random but yea i see the resemblance haha. Is there a specific DBS/POSB card that we need to use for the 1-for-1 promo? nope. any POSB/DBS credit/debit card will do. But do make a reservation in advance to enquire if the 1-for-1 is applicable because some dates have been blacked out (where this promotion will not apply) due to the F1. Hi, are the Petit Fours nice? the meringue was pretty nice. the rest was quite average but can’t complain since it’s complimentary right?